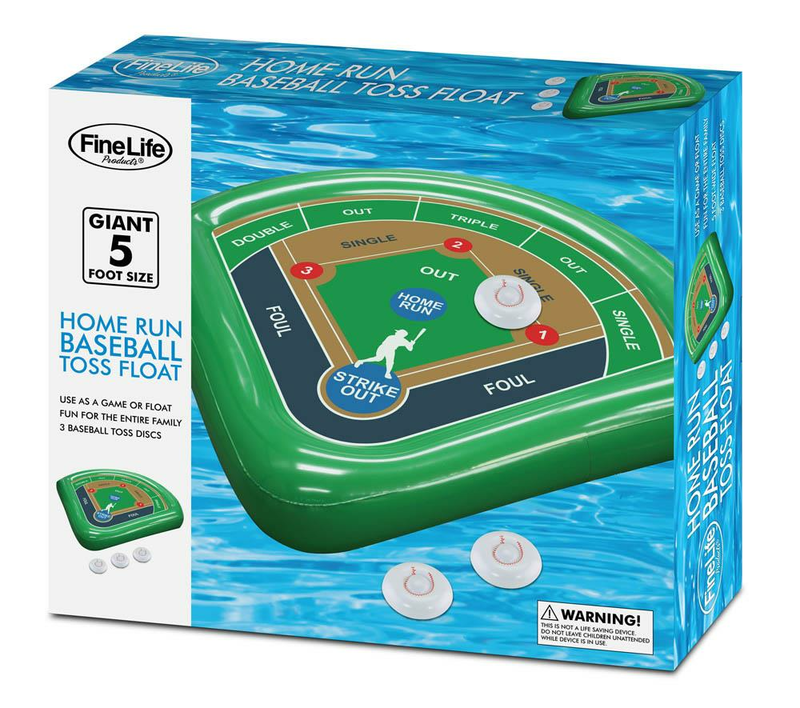 Baseball in the pool? Sounds like fun! 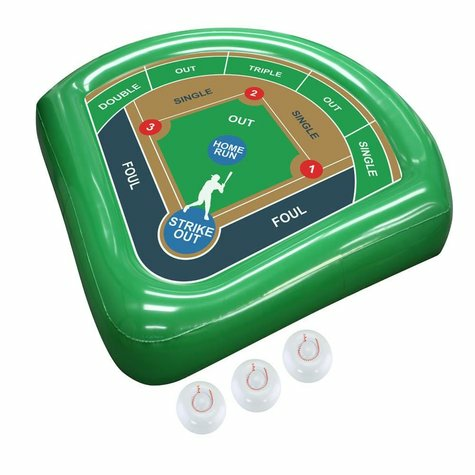 This homerun baseball toss pool float comes with three soft balls you and your friends toss at the float in hopes of hitting a home run. 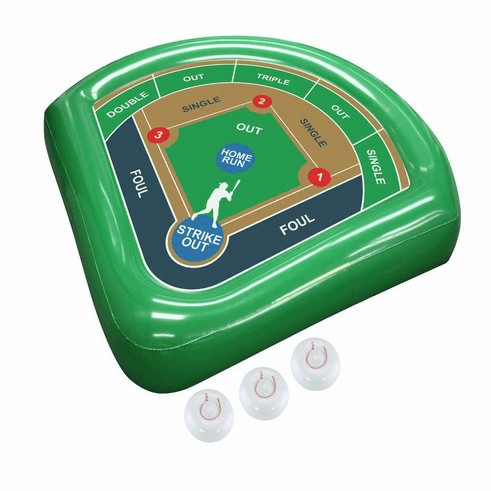 You won't strike out on fun during your next pool day when you bring this game! Weight 2.4 pounds. 14.8" x 12.5" x 2.5". Plastic. UPC Number: 841437109191. /!\ WARNING: This is not a life saving device. Do not leave children unattended while device is in use.